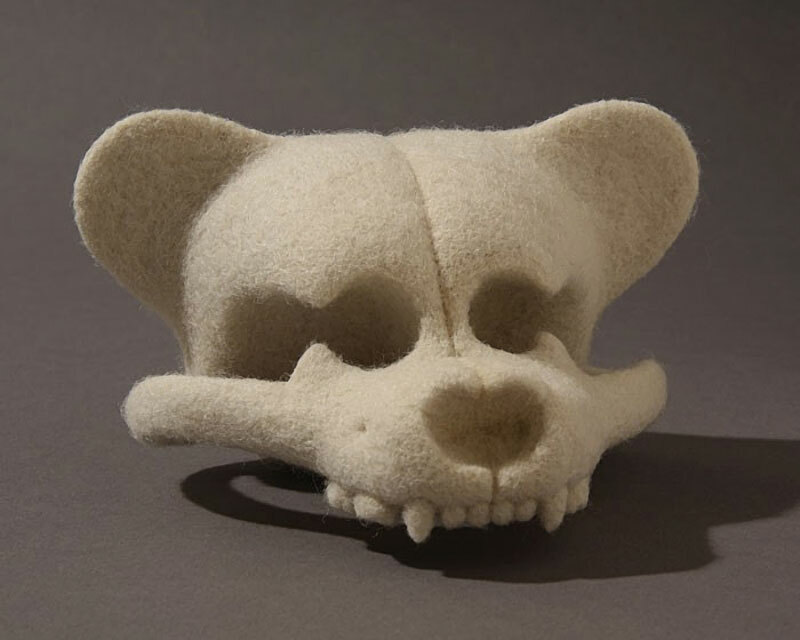 Teddy bear wool sculptures that mimic natural history museum collections by San Jose-based artist Stephanie Metz. 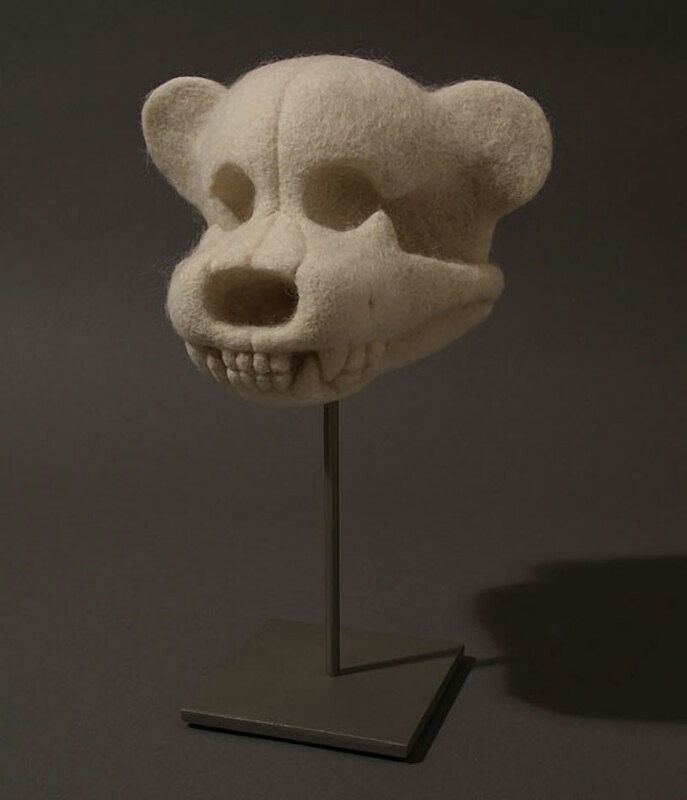 To create her pieces, she starts with found teddy bears and reverse engineers the physical "evidence" of their biological history in needle-felted wool, a material perfectly suited to represent the soft yet firm structural bones and tissues of stuffed animals. Some people find her sculptures charming while others find it creepy. Stephanie enjoys working in this gray area—the line between fragile and strong, soft and hard, cute and macabre. Teddy bears at first appear trivial. They are toys—playthings for children and symbols of innocence, comfort, and nostalgia. But the teddy bear is also a metaphor for the way humans manipulate the natural world to our own ends. The teddy bear is an idea: a docile, cute, friendly invention far removed from the wild animal that inspired it. I create teddy bear anatomical specimens with a pretense of realness to emphasize the artifice of a familiar but unconsidered subject. 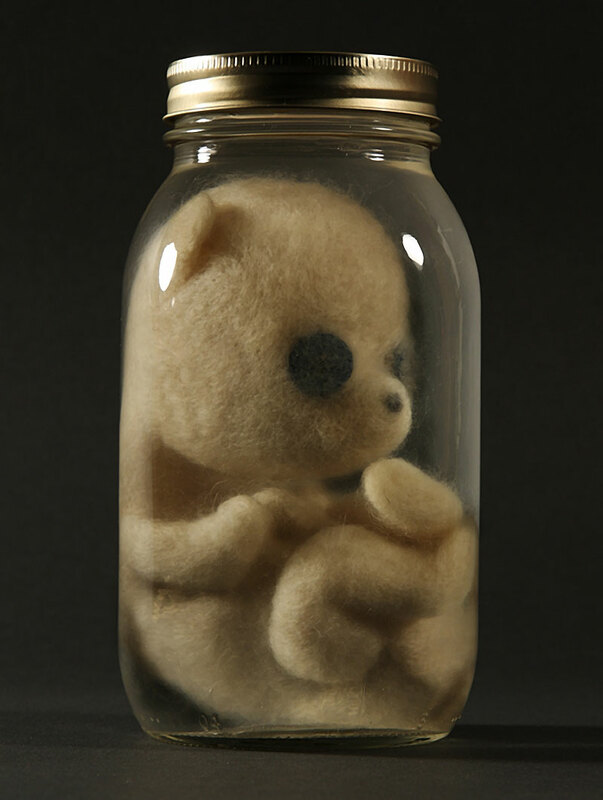 Teddy bear wool sculptures that mimic natural history museum collections by San Jose-based artist Stephanie Metz.